As a big of Price’s other series, I’ve always had the Haven series on my radar. It wasn’t until this past year when Price resurfaced in the book publishing world after a long hiatus that I finally decided to take the plunge into this book series with the long awaited third book coming in 2018. 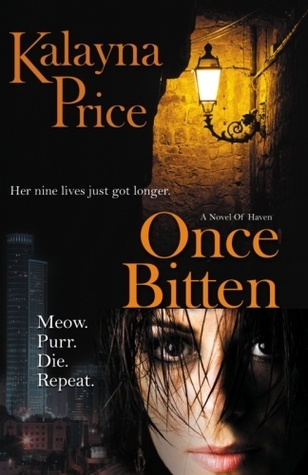 Once Bitten is a different kind of urban fantasy story. Where the overwhelming trend of these types of book tends to stick to one supernatural group, Price has blended them together in her main character Kita. Once a were, Kita finds herself near dead when a vampire breathes life back into her failing body. Unique, right? To be honest, it is the first time that I’ve read a book with this type of premise. While some of the reviewers found fault in this oddity, I loved it. It’s refreshing when an author takes a step off the beaten path and gives readers a new type of creature to relish in. That being said, I did have a few issues with the book’s plot line. In the beginning of the book, I felt like the world-building was scantly covered and often found myself going back a few pages to make sure that I hadn’t skimmed over something. Being the first in the series, world building is very important to set the tone for the rest of the series, and sadly, there just wasn’t that much there. Had this been developed more, I think my rating would be substantially higher. 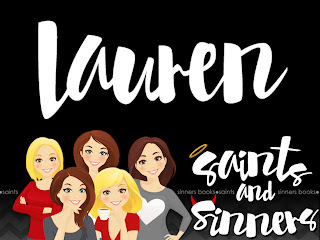 But that doesn’t deter me from picking up the next book in the series because as the book continued I did finally start to feel a connection to the characters and their well-being. This series has a lot of potential, and my only hope is that with the subsequent books that Price finds her strive like in her other series.